Home » Book Reviews » The Journal of Positive Psychology: Get Access to the Latest Articles! The Journal of Positive Psychology is the first journal dedicated to positive psychology. It publishes six issues throughout the year and focuses on presenting the latest scientific findings on happiness, fulfillment, and flourishing. 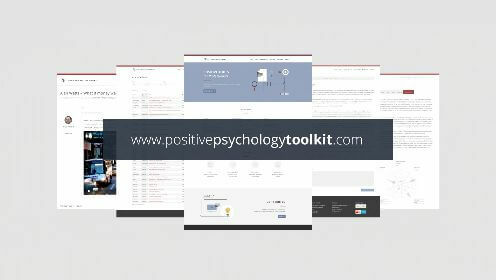 The Journal of Positive Psychology pools information from a multitude of disciplines, ranging from psychology to even economics. As you can see, The Journal of Positive Psychology features a wide variety of the latest, most exciting research findings. If you are interested in taking a closer look, you can explore The Journal of Positive Psychology’s entire publication history. The Journal of Positive Psychology is a valuable resource for anyone involved in positive psychology, particularly students, teachers, researchers, and practitioners. Due to the monopolistic nature of the publishing industry, The Journal of Positive Psychology is the only method of receiving direct and immediate access to the most groundbreaking and current research findings in the field. Even if you’re not directly involved in positive psychology, The Journal of Positive Psychology has a great deal of practical value for anyone looking to apply the latest insights on flourishing and happiness into their own lives. How Can Access The Journal of Positive Psychology Online? 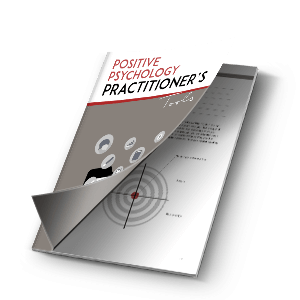 Unfortunately, due to the nature of this valuable resource, the Journal of Positive Psychology is available only at a lofty price. Today, high prices are the norm for scientific journals and an annual subscription to The Journal of Positive Psychology would cost you almost $1000 USD, depending on the type of subscription (see here for exact pricing details). If the Journal of Positive Psychology is out of your price range (and understandably so), there are some other options available to you. If you are a student, professor, researcher or in some way affiliated with a university, you should check with your administration to see if they have already paid for a subscription that would grant you online access. Check out the public libraries in your area, a university library would be most likely to have a subscription. If you are willing to search, you may be able to find individual articles online. Researchers often provide free access to their work on their own websites or on sites like PubMed, ResearchGate, or Academia. If all else fails, researchers are often more than happy to provide free copies of their articles if you email them politely and give them ample time to respond. However, to be respectful of their time, you should only contact them after searching for the article in the sources listed in option 3. Whether you opt for an annual subscription or decide to browse the abstracts and hunt for the articles individually, The Journal of Positive Psychology is one of the best resources for the latest in positive psychology research. Good day! I want to get in touch with the editorial assistant Milla Titova, University of Missouri, USA. A meta-analysis on the effects of coaching on individual level outcomes in an organizational context by Tim Theeboom, Bianca Beersma, and Annelies E.M. van Vianen; The Journal of Positive Psychology, 2014, Vol 9 Issue 1. How about I get you in touch with Tim Theeboom? Let’s set this forth via email. This is a great first glance at the Journal of Positive Psychology: Volume 9′s Academic Articles. The study on Relationship quality, divorce, and well-being sparked my interest the most. Thanks for giving this overview.